Once upon a time, the King of Prussia Frederick William IV decided he needed a steam engine to run the pumps for the fountains at his gardens in Sanssouci Castle, Potsdam. It was to be the most powerful steam engine in the whole of Germany in 1842. It was the king’s pride and joy: once again, Prussia was number one in Germany. A matter of prestige - the building had to be something special, something modern. He asked his architect to house the engine and the pumps in a mosque “built in Turkish style with a minaret as the chimney”. The king used to show this “mosque” to all his state guests. Things couldn’t have changed more: What was considered modern, state-of-the-art architecture back then, is painted as a symbol of danger and backwardness in today’s Germany. In towns and cities hardly any other political issue fuels more public emotion than new mosques or minarets. Although France has more Muslims, Germany already has the highest number of mosques in any EU country – more than 2,600. But most of them don’t have a traditional architecture with a dome and minarets. These ‘backyard mosques’ were edifices improvised by the (mostly Turkish) migrant workers who converted factories or flats into prayer rooms. Once these Muslims realized that they were no longer ‘guest workers’ who would eventually return home, that in fact Germany was their new home, they wanted to give their makeshift prayer rooms the facade of a traditional mosque. 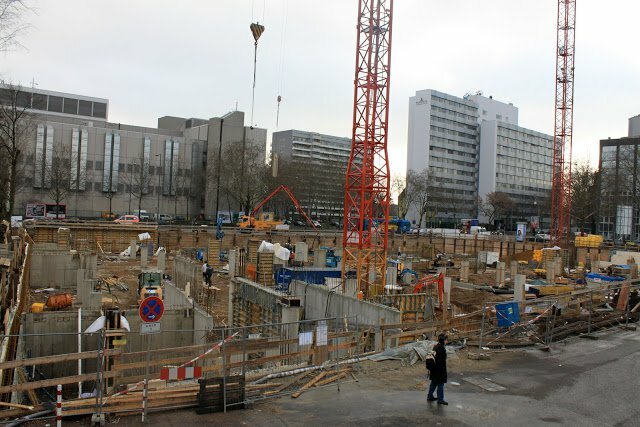 But the site in the central Cologne quarter of Ehrenfeld, at the intersection of two main thoroughfares, Innere Kanalstrasse and Venloer Strasse, became the most hotly contested mosque project in Germany. Only recently, construction has begun; for years, there were debates, agitations and protest marches in the city. 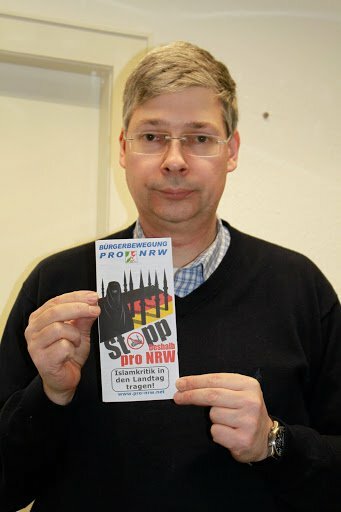 “Pro Köln”, a small far-right party that had attracted some voters in local elections because of its opposition to previous mosque plans, spearheaded the agitation against the Ehrenfeld mosque with posters of a crossed-out mosque. After the Swiss vote against minarets, the party has adapted the Swiss posters which make minarets look like missiles. Mosque opponents such as well-known Cologne writer Ralph Giordano maintain that the integration of Muslims in German society ‘has failed’. According to them, big mosques give out the wrong signal - the religious and political symbol of a ‘parallel society’, a catchword in the German debate on immigration. It refers to immigrants supposedly living in their ghettos and refusing to interact with mainstream society. The charge of establishing ‘parallel societies’ in Germany is usually backed up by pointing to several social problems which are not at all related to religion as such. One is that the migrants are said to refuse to learn and speak German. Plus “many of them live on state funds and don’t contribute to the German economy”, as Rouhs puts it. These thoughts are by no means only found on the right fringe of German politics. Thilo Sarrazin, the former finance minister of the state of Berlin and a Social Democrat, strengthened these positions by complaining in a widely discussed interview last year that “a large number of Arabs and Turks in this city, whose numbers have grown thanks to the wrong policies, have no productive function except selling fruit and vegetables.” Although there was an outcry over his ‘racist’ provocations, he also received considerable support. But why are such issues brought up by politicians in the debate about mosques? Rouhs answers that opposition to mosques gives politicians the only chance they have to address problems of integration, because in this case, permission is required from the authorities. DITIB is one of the biggest Muslim organizations in Germany. Almost 900 local mosques are part of their network. DITIB was founded in 1984 and has close links with the Turkish government. In DITIB mosques, most imams are trained in Turkey “because there were no facilities in German universities”, Alboga explains. “But within the next ten years, every DITIB imam will speak German.” He adds that since 2007 the Friday sermons in their mosques have been either bilingual, or the German translation is given as a handout to the faithful and published online. In any case, knowing German doesn’t seem to make things much easier: Even German-speaking imams face the same resistance, as the recent controversy about a new mosque for the Ahmediyya Muslims of Berlin demonstrated. The more than 30,000-strong Ahmediyya community in Germany, which is mostly made up by refugees from Pakistan, is exceptionally well trained and ‘integrated’ by the established benchmark: they speak German well, many have white-collar jobs and they are not a ‘burden’ for the economy. 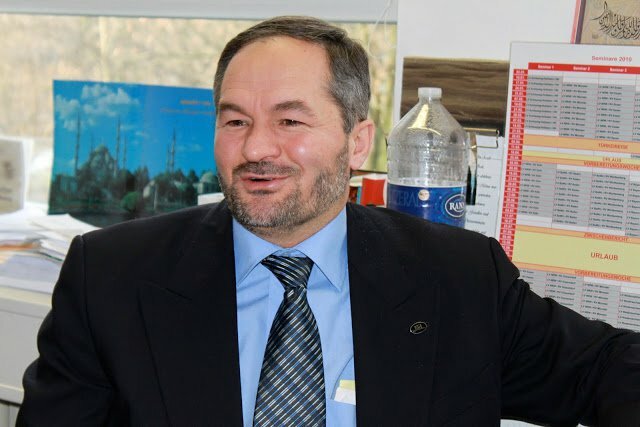 Abdul Basit Tariq, the imam of the new mosque in Berlin-Pankow, had to do a Master’s degree in German language and literature for four years in Pakistan before he was sent to Germany. He gives his Friday sermons only in German. Nevertheless, there were massive protests against the new Berlin mosque, which ended up being built in an industrial area in East Berlin, far away from where the Ahmedis live. Journalist and author Hasnain Kazim has just published a widely read book about his family’s immigration from Pakistan and their integration in Germany. Bekir Alboga has a different take on who is to blame for spreading anti-Muslim sentiments. He credits the German state for pro-Muslim policies such as the establishment of an official ‘Islam Conference’ in which representatives of Muslim organizations and the state discuss initiatives to establish Islamic education in schools and universities, for example. But Alboga also acknowledges another strain of response in Germany, dating back to the enlightenment, when thinkers like Goethe and Lessing admired Islam. 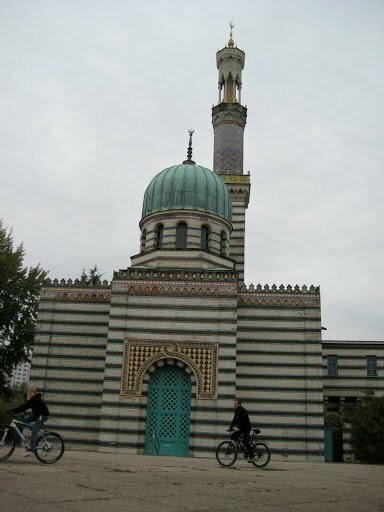 It is this tradition which inspired the Prussian king to build his mosque in Potsdam. German attitudes toward Islam easily switch between both strands, between tolerance and Islamophobia. Bekir Alboga is concerned that post-9/11, even their traditional allies, the Christian churches have changed their stance towards Muslims. “Certain church leaders like Pope Benedict and the former head of the Protestant church in Germany, Wolfgang Huber, have defended Christian fundamentalists like the Society of Saint Pius X. There are a lot of contradictions in the mosque controversy. On the one hand, critics demand that Muslims must be ‘integrated’ in Germany. But the more Muslims become visible as part of the German mainstream, the more they are seen as a ‘threat’. Do those who say ‘integration’ actually mean ‘assimilation’? There are also blind spots in the debate. Whatever truth is in the argument about ‘parallel societies’, it can be seen both ways. The most vociferous opponents of ‘Islamization’ tend to be those who have never come across a Muslim – in Switzerland or in Germany. Their fears have been fed by second-hand ‘information’, not least from the media. If people don’t talk to their Muslim neighbours, how can this gap be bridged? Then, there are the delusions. Given that Islam is going to be part of European culture, banning Islamic symbols is not going to solve anything. In fact, it will only harden stances on both sides. If minarets are not allowed in Switzerland, will this help Muslims integrate into Swiss society? If France bans burqas, will it help Muslim women to come out of the house? And finally, as right-wing groups like ‘Pro Köln’ are planning a Europe-wide campaign against minarets together with like-minded parties such as the Swiss SVP, Austria’s FPÖ and Belgium’s ‘Vlaams Belang’, Europe’s insecurities become apparent. Europe has lost much of its economic influence over the last decades, and it is growing older. Both trends are set to continue. If Europe were stronger and more dynamic, would it still be scared of a minaret? Or would it be able to appreciate its beauty and present it proudly to an admiring audience, like the powerful King of Prussia?